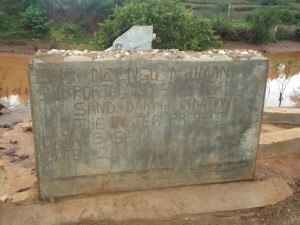 Nzengu Ngomani self-help group was formed in 2012 and has a total of 29 members. The main reason that led to formation of the group was water problems, soil conservation and tree planting. Also they have a merry go round (internal saving and lending group), which helps them in improving their socio-economic status. 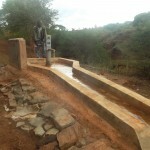 The main water sources in the area are in River Mutinyani, Ilawani water project, Miiui earth dam and Kilimanjaro water project. River Ngoloosi is situated 2.5 kilometres away from the community and Miiui earthdam is 4 kilometres away from the community. 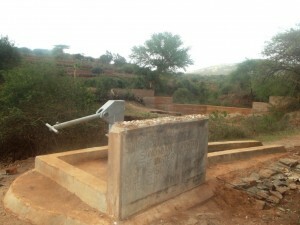 It takes three hours to fetch water from River Mutinyani and 4-5 hours from the water projects. During the dry period from August to October one has to dig deep scoop holes in order to get water and the little water available tends to turns saline during the period, making water undrinkable. Poor farming methods. 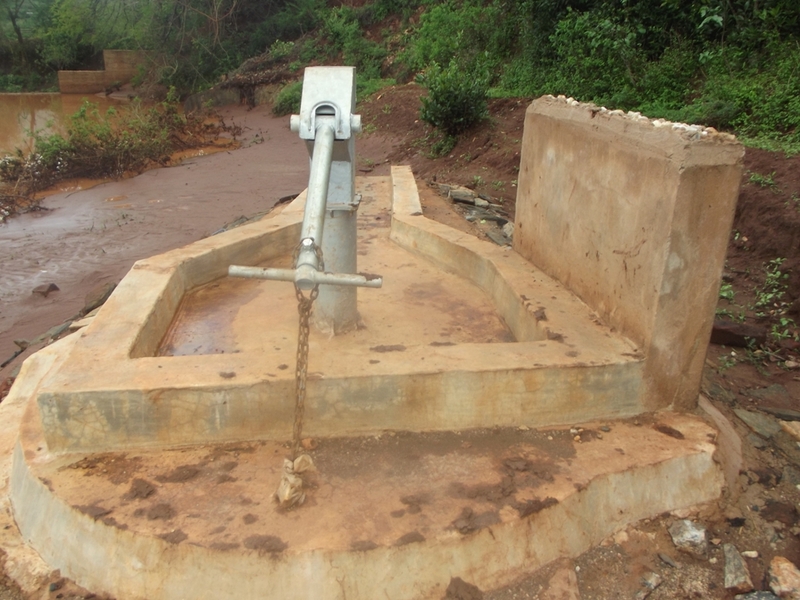 Much of the time is spent in fetching water for the farm. 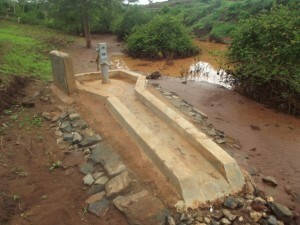 The situation is extremely adverse during the dry season. This has led to the neglect of the farms and other areas of the community lives. By the time one returns from fetching water they are tired and cannot engage in farming or in any productive role. Famine and drought. Most farmers depend on rain fed agriculture to grow crops. The lack of alternative methods for growing food has led to increased food insecurity in the area. Maize, cowpeas, green grams, sorghum and pigeon peas, Dolichous lab lab and beans. The community has continued to practice traditional planting methods that have led to decreased harvest. The reliance on maize as a staple crop and cash crop has led to decreased harvest due to unreliable rains. The community also lacks knowledge on farming methods that can be practiced in the area. Pre harvest and post-harvest losses: the crops are destroyed by pests before harvest. The group does not have knowledge on how to control and prevent pests from destroying the crops. After the crops are harvested they also lack post-harvest preservation skills. Weevils therefore destroy the majority of harvests. To prevent further losses from the weevils most farmers dispose off their produce at low prices thus returning to the viscous cycle of food insecurity and poverty. The lack of knowledge and information on tree management. Most farmers lack the skills on how to establish the tree nurseries and even care for the trees after they have planted them. This has reduced the survival rate of the trees in the area. Termite infestation. The area has high incidence of termite that destroy the trees. The community lack the ability to control termite from destroying their crops. 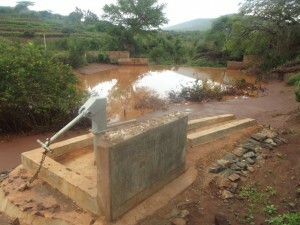 They intend to create water security through the building of sand dams. The aim of having the sand dam is to improve the availability of water for farming, for our livestock and improved incomes for the community. 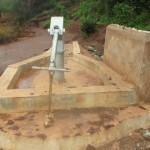 Having water we have the capacity to engage in commercial farming. The community also seeks to have knowledge and skills that can empower them so as to be able to have resilient communities against the changing weather patterns. 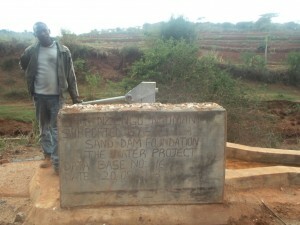 Nzengu Ngomani SHG has already built two sand dams. During last year’s planning process the group requested to be supported with the construction of shallow wells as a means of abstracting clean water from the sand dams. Ulaani Kwa Katw’a Self help group was not able to implement the shallow well attached to its sand dam due to the geology of the area where they constructed their sand dam. The basement rock (hard to dig through) existing in these area would not allow the sinking of the shallow well to a sufficient depth that would enable water to filter into and as well enable the installation of a hand pump. Since Nzengu Ngomani self-help group had requested for support to construct shallow wells within their already constructed sand dams, when it was not possible to implement the above shallow well in Ulaani Kwa Katw’a, Nzengu Ngomani was considered for the alternative support. To see this project, click here. 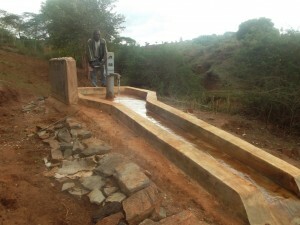 The digging of the shallow well and collection of the local materials to enable lining of the well began on the 10th of August 2013 ending on the 1st October 2013. This was immediately after the completion of the sand dam attached to this shallow well. The immediate start was as a result of finding the area ideal for the construction of a shallow well during the sand dam foundation excavation (water was already filtering through into the dug foundation). 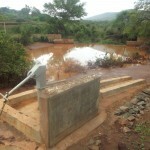 The process of finding a suitable level where the shallow well would have enough water charge took a total of two months. 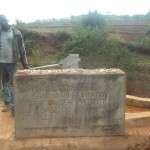 The main challenge during the digging of the shallow well was attributed to the fact that the community was tasked with contributing money to pay the casual labourers who were supporting the community to dig the shallow well. 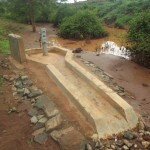 This resulted to a delay in the implementation of the project. The lining of the shallow well to enable hand pump fitting started on October 5th, 2013. 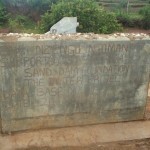 The community provided the unpaid labour that was required to mix cement, sand and pass construction stones to the artisans. 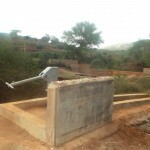 The fitting of the hand pump on the shallow well was done on October 20th2013 with the final works on the shallow well being done on October 27th, 2013.